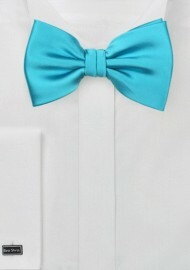 Made as part of Puccini's wedding bow tie collection, this bright aqua blue shade is perfect for the spring season. Made especially for your navy and tan suits, this piece will add some exciting splash of color to all your summer jackets. Prefer a classic necktie instead? 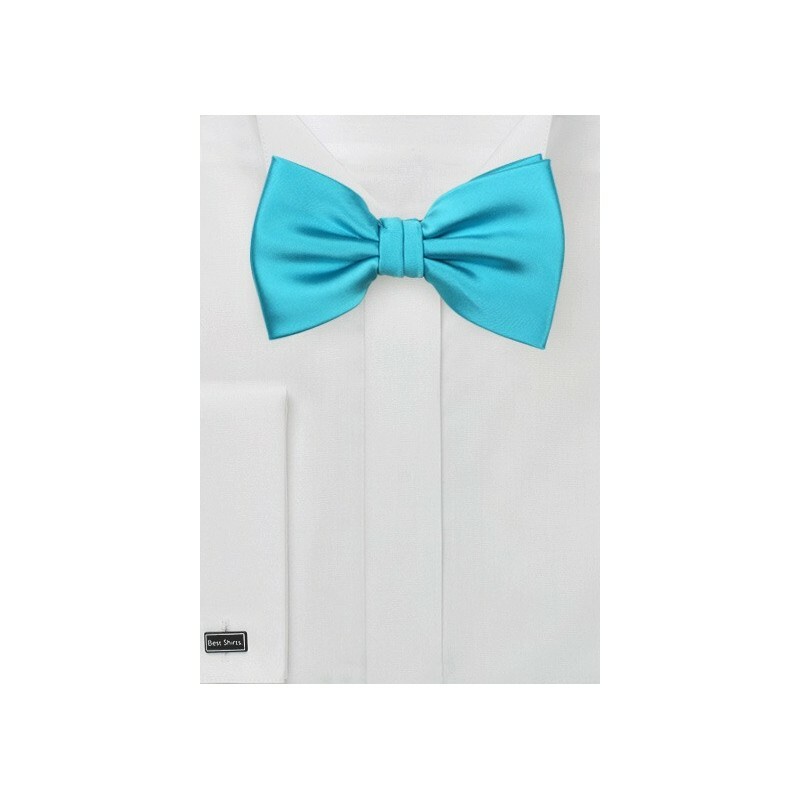 No problem as we carry this color as classic neckties in several sizes (regular, XL, and kids size).